Lynda is a professor of sociology with more than 30 years of experience and training. She first studied sociology in the UK where she obtained her Bachelors degree from the University of Wales. After moving to Australia, she completed a PhD in sociology from Central Queensland University before taking up a position at The University of Queensland. From 2011-15 she was an Australian Research Council Future Fellow. She also established and directed Australia’s first qualitative data archive. She now combines her teaching and research with a position as Deputy Head of School and Head of Sociology in the School of Social Science. Lynda is presently leading a programme of research on ‘un-neighbourliness’ which examines the nature, causes and outcomes of problems between neighbours and their effects on neighbouring more broadly. Funded by a UQ Foundation Research Excellence Award and an ARC Discovery grant, she and colleagues are exploring how processes of urban change, such as urban consolidation and gentrification influence neighbour relations, and how neighbouring is enacted in different residential contexts. The results of this study have implications for councils trying to respond to rising neighbour complaints; social housing providers managing disputes between tenants; and for urban planning and community resilience policies. 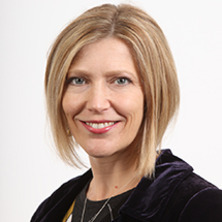 She is also an international partner on the ESRCs’ Connected Communities consortium (Crow et al) and the Wales Institute of Social and Economic Research, Data and Methods (WISERDII). Sustaining tenancies in the social housing sector for tenants with mental health and other complex issues. Rural Governance: International Perspectives. Edited by Lynda Cheshire, Vaughan Higgins and Geoffrey Lawrence London: Routledge, 2007. Reshaping the State: Global/local networks in association and the governing of agricultural production. Environmental sustainability in the beef grazing sector of Central Queensland: What helps, what hinders? Refereed Proceedings of the Australian Sociological Association Conference (2012) . Edited by Lynda Cheshire and Alex Broom. The Australian Sociological Association Annual Conference (TASA 2012), 26-29 November 2012, Brisbane, Australia. Building sustainable social capital in new communities.